A telemedicine-enabled stroke ambulance equipped with a CT scanner enables delivery of thrombolysis 38.5 minutes sooner than does a traditional model of stroke care delivery. That’s a key takeaway from a study of Cleveland Clinic’s early experience with its mobile stroke treatment unit (MSTU) published online by Neurology on March 8, 2017. “Every link in the prehospital stroke rescue chain matters, and mobile stroke units appear to present the greatest opportunity to accelerate the process to IV thrombolysis and definitive care delivery,” says principal author M. Shazam Hussain, MD, Interim Director of Cleveland Clinic’s Cerebrovascular Center. The study follows on the heels of Cleveland Clinic’s implementation of an MSTU in July 2014. As detailed previously on Consult QD, the MSTU is an ambulance specially equipped with emergency personnel, a CT scanner, point-of-care lab equipment and a telemedicine connection. The onboard medical team — registered nurse, paramedic, emergency medical technician and CT technologist — works to enable patients with suspected stroke to be remotely assessed by stroke neurologists on Cleveland Clinic’s main campus. Specifically, a vascular neurologist evaluates each patient via telemedicine connection and joins with a neuroradiologist to remotely assess CT images obtained on the MSTU. Based on the evaluation, the vascular neurologist can order initiation of thrombolysis with tissue plasminogen activator (tPA) on the MSTU for appropriate patients, helping to narrow the critical time window to treatment. The study compared times to evaluation and thrombolytic therapy between the first 100 MSTU patients (from July 1 to Nov. 1, 2014) and a control group of 53 patients with suspected stroke brought to a Cleveland Clinic ED by a traditional ambulance in 2014. The two groups were similar in terms of patient and stroke severity characteristics. Sixteen patients evaluated on the MSTU received thrombolysis, and 44 percent of them (7/16) received it within 1.5 hours of symptom onset — compared with 8.3 percent of control patients who received tPA (1/12). A full 25 percent of tPA recipients in the MSTU group received it within an hour of symptom onset — the so-called golden hour. Analysis of the MSTU patient subgroup with probable stroke revealed a 48 percent rate of IV tPA administration (16/33). He adds that these results align with recent studies reported from Germany, which had the world’s first experience with an MSTU, and from another early U.S. MSTU experience reported out of Houston. 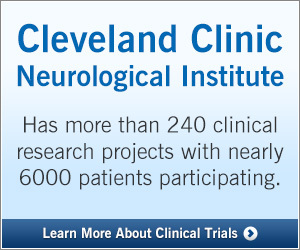 He notes that a key difference between the Cleveland Clinic MSTU and these other early MSTU models is Cleveland Clinic’s sole use of telemedicine and teleradiology, in contrast to the inclusion of a stroke neurologist on the MSTU in the other models (as well as an onboard radiologist in some of the German experience). Dr. Hussain adds, however, that questions still remain about the cost-effectiveness of mobile stroke units, which can be affected by many variables, and the widespread feasibility of such units since they demand reliable and fast wireless networks. “Still, our results show that telemedicine can make it possible for a neurologist to see a stroke patient — and possibly treat them — before they even arrive at the hospital,” he concludes.